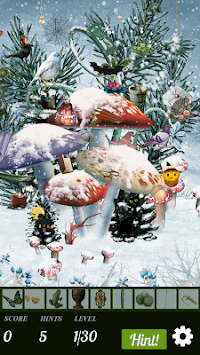 Celebrate the Halloween and Christmas seasons in our awesome free Hidden Object game! Enjoy these beautiful fall and winter scenes while searching for expertly hidden objects. Merry Halloween and Happy Christmas! Try our Campaign mode for the ultimate hidden object adventure! 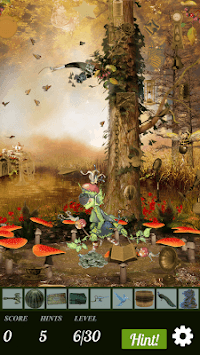 Explore 200 stunning autumn and winter locations in “Merry Halloween” and complete hidden object puzzles with increasing difficulty. Hunt down objects in a variety of ways, play challenging timed levels, and enjoy fun bonus rounds, and play mini games! ★ Explore Halloween and Christmas in our free app! 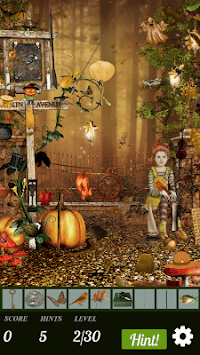 EXPLORE MERRY HALLOWEEN IN A HIDDEN OBJECTS ADVENTURE TODAY!